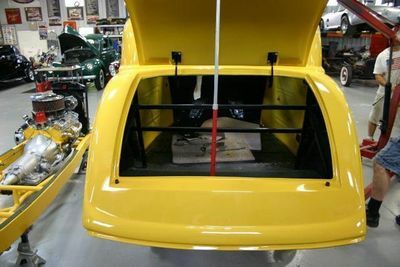 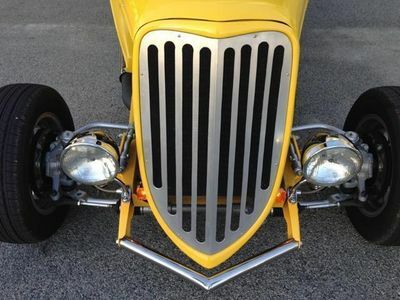 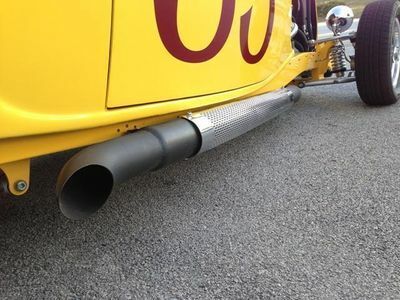 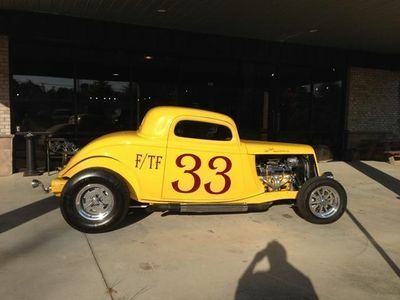 Brand New 1934 Ford Custom 3-Window Coupe Replica, Professionally Built Hot Rod. 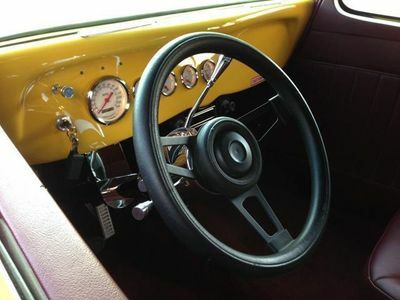 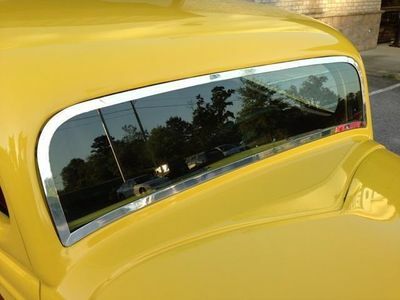 A Classic 3-window that Looks Great and Drives Even Better! 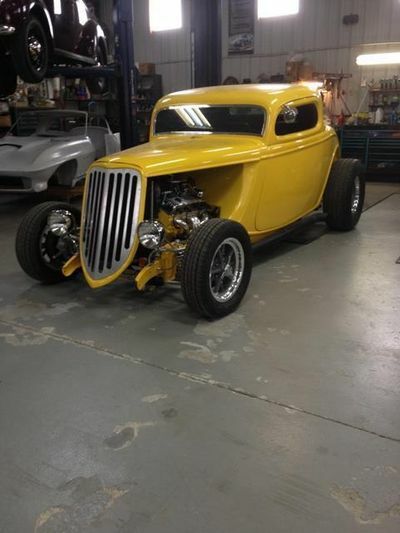 Brand Spankin' New from Grille to Gas tank, this Classic Coupe will give you many years of enjoyment. 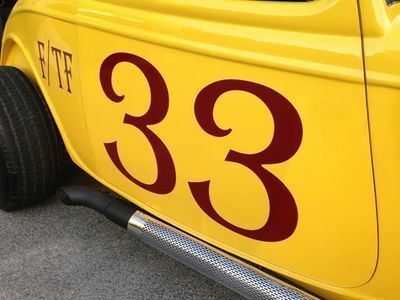 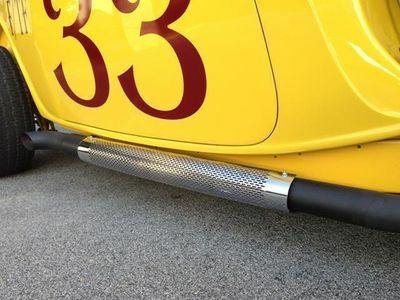 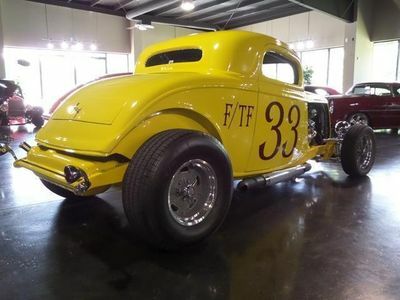 Recently completed build with only 220 miles on the ticker, this 1934 Ford Coupe was Custom Built from the ground up with Drivability at the Top of the List. 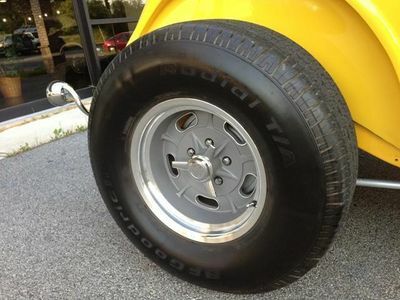 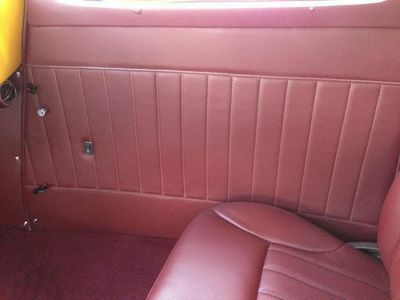 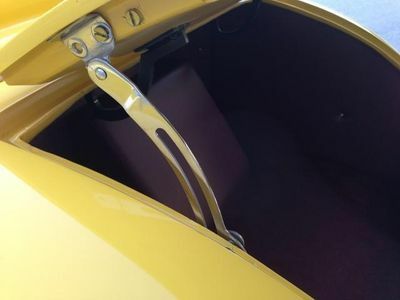 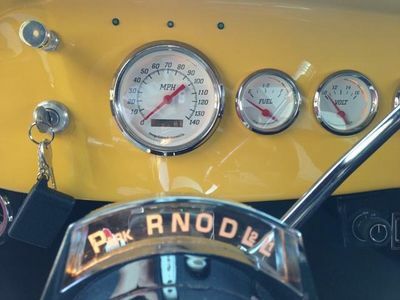 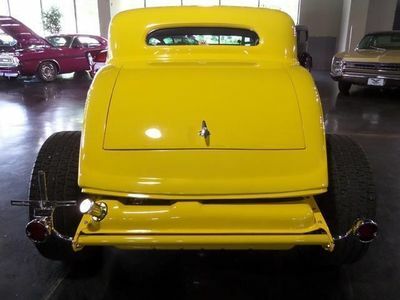 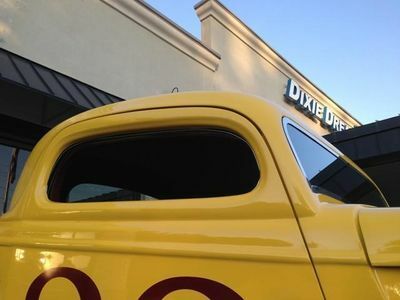 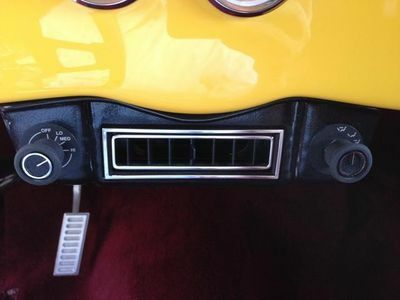 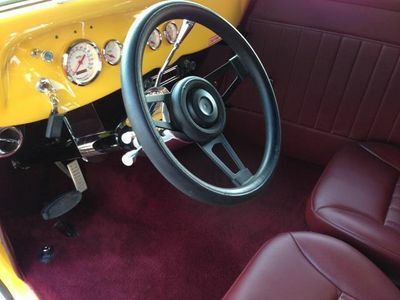 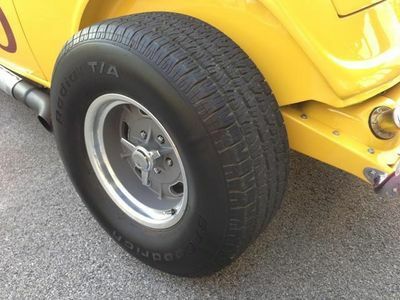 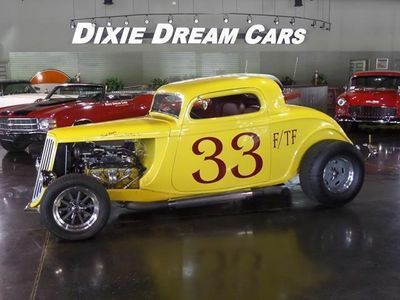 Hand-laid Custom Fiberglass Body, chrome side pipe covers, comfortable leather seating, lots of leg room Power Windows and Ice Cold Vintage Air-Conditioning are just some of the quality features you get with this awesome, new ride!. 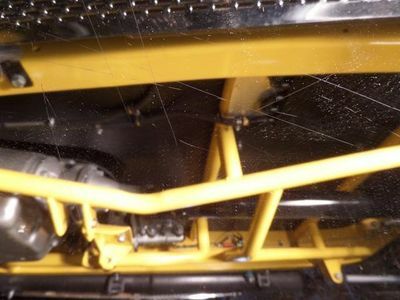 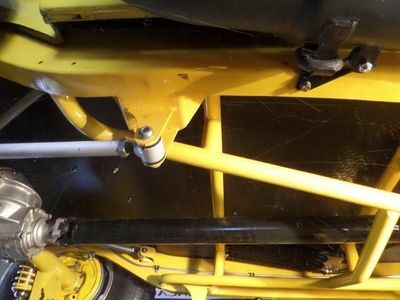 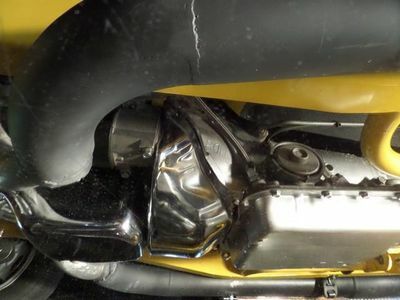 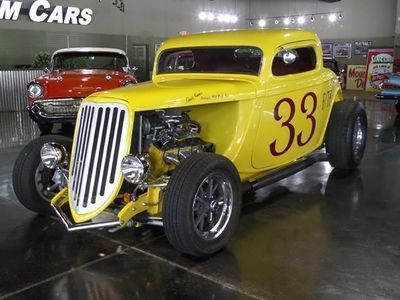 Her Stunning Yellow Paint scheme will have all heads turning in your direction. 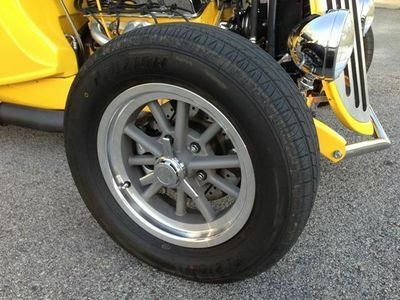 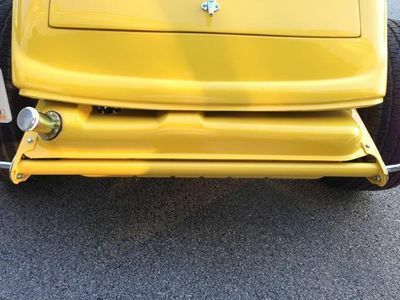 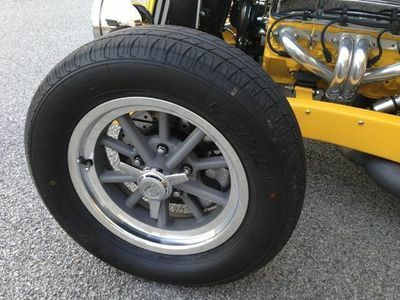 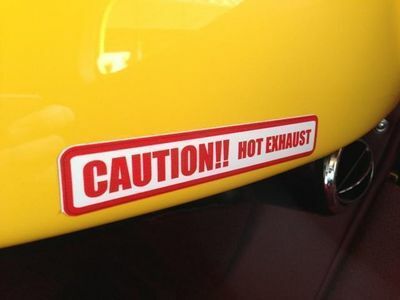 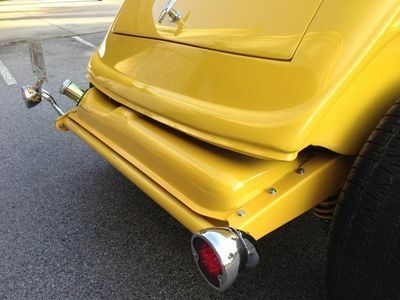 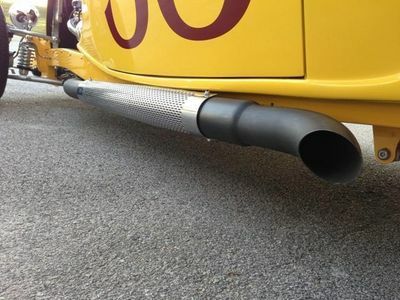 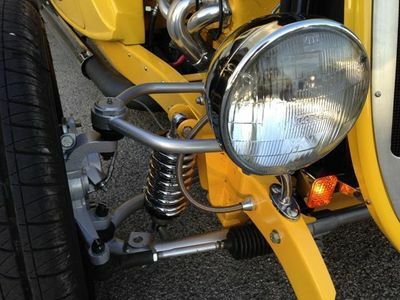 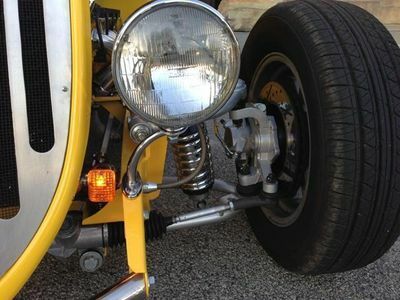 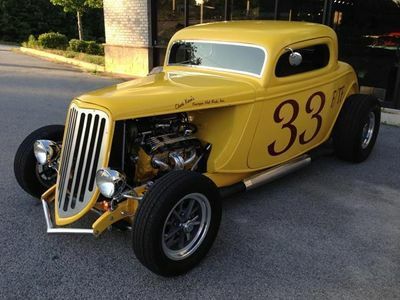 Whether you are parked at your local Car Show or Cruising the Boulevard, this baby will get you noticed. 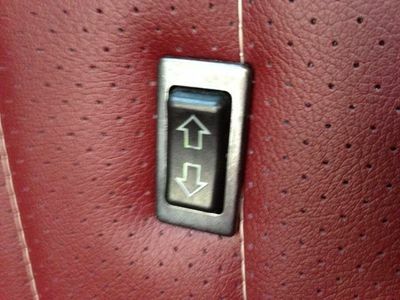 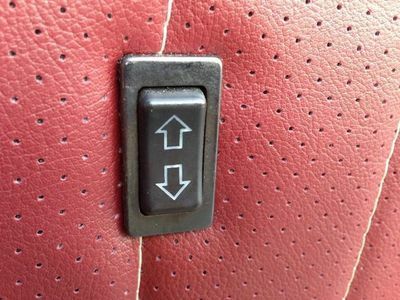 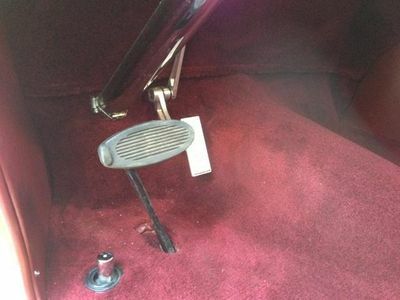 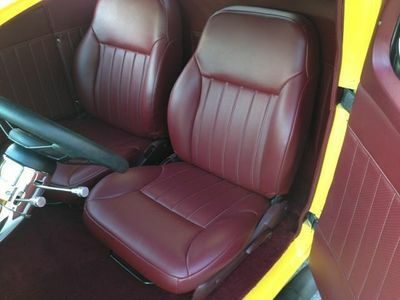 Pop open her Remote Doors and Slide into her Luscious Burgundy Synthetic Leather Interior. 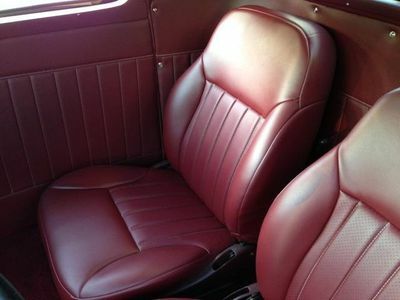 Her Tastefully Upholstered, Late model Bucket Seats with Perforated Faux Inserts are Cozy & Comfortable. 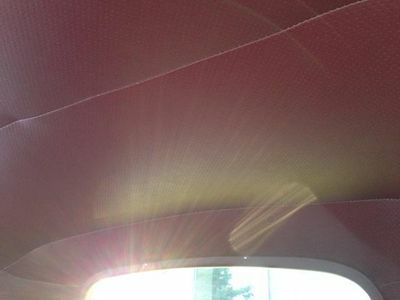 Notice how her door and interior side panels as well as her headliner are perfectly matching perforated Burgundy Leatherette. 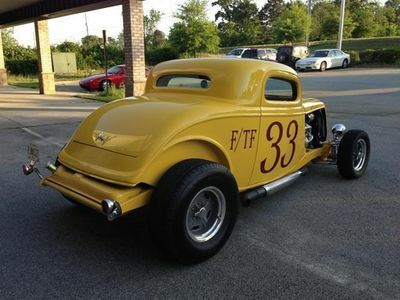 Are you ready for some FUN? 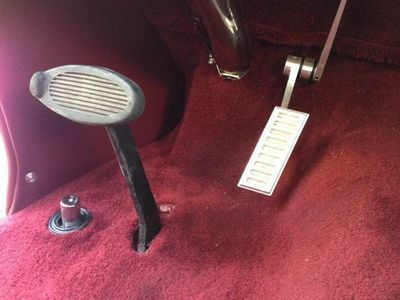 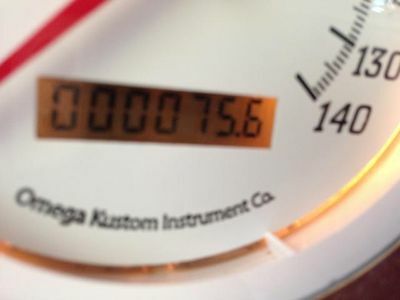 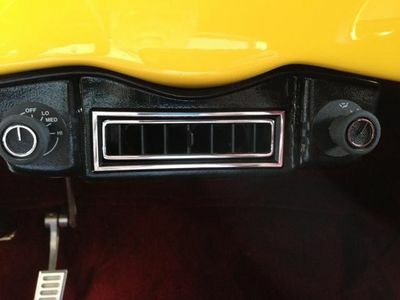 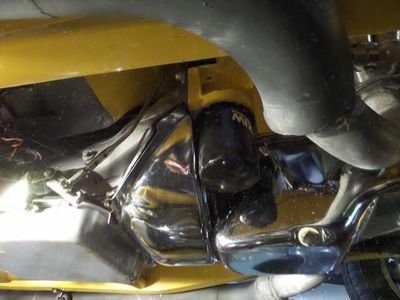 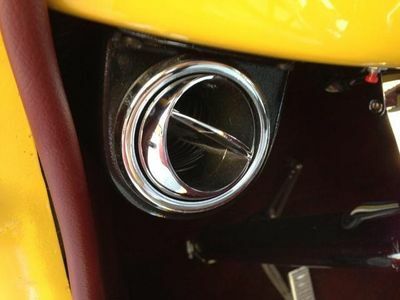 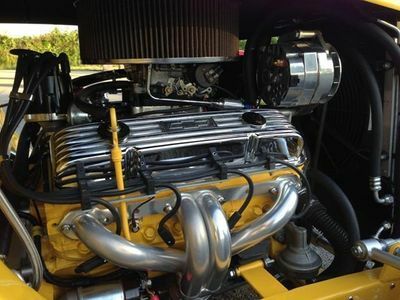 Crank up this baby's 350 cu.in. 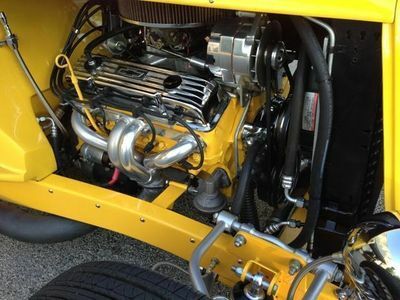 V8 and Shift her Corvette TH-700R4 Automatic transmission into Drive for a Rip Roarin' Good Time! 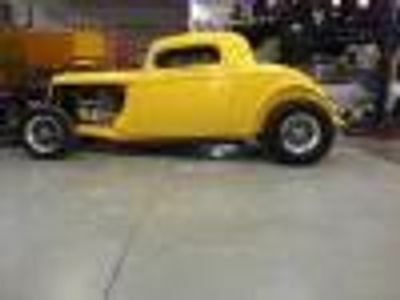 She is quick off the line and cruises effortlessly down the highway with plenty of Power in reserve. 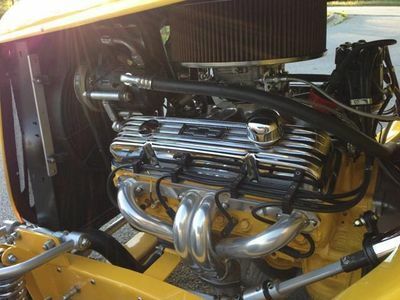 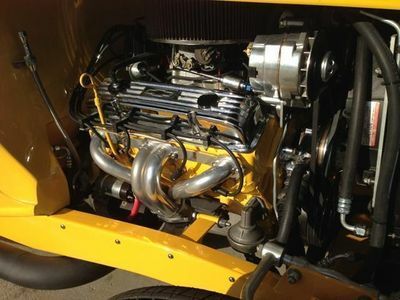 This Beauty's Small block, 4 Bolt, 350 CID, V8, Goodwrench crate engine Roars to life with an impressive Gusto. 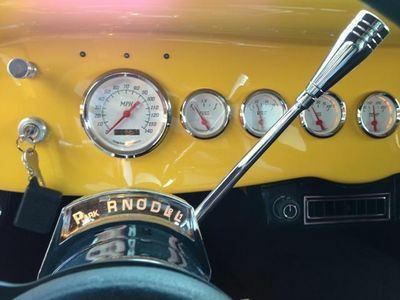 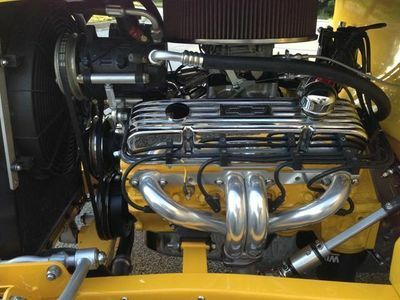 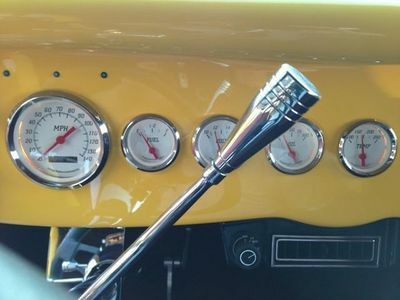 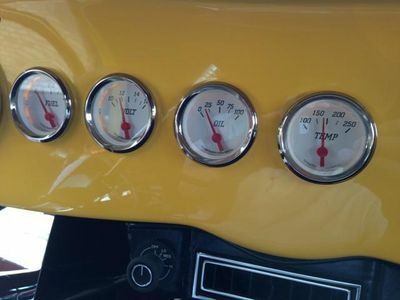 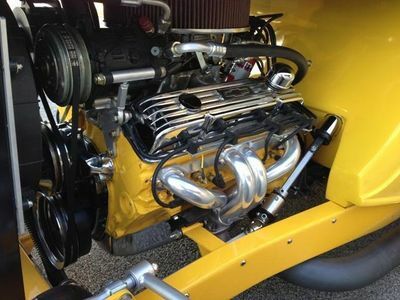 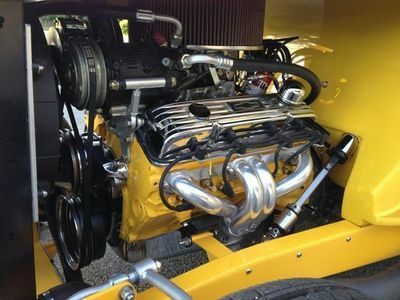 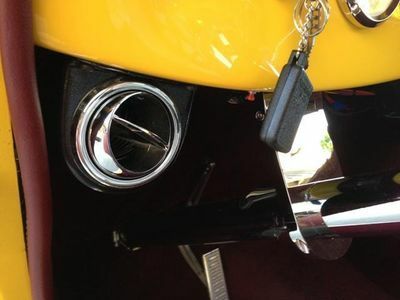 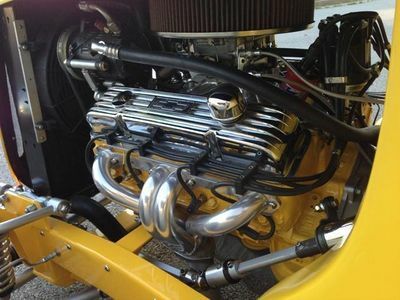 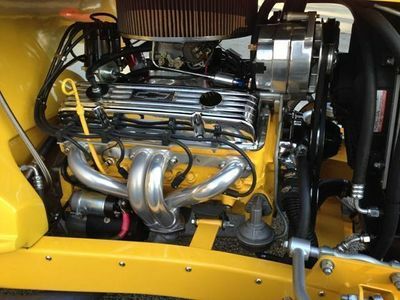 Assisting this Power plant is a750cfm Edelbrock Performer Carburetor with an Edelbrock throttle cable assembly, a Polished, 150 amp PowerMaster Street Alternator, an MSD Pro-Billet distributor and MSD Blaster ignition coil. 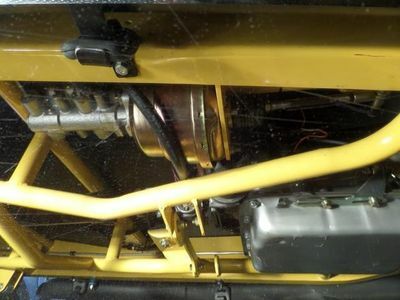 Giving her smooth, confident shifting is her new TH-700R4, 4-speed Automatic Transmission with Overdrive mated to a Heavy Duty Ford 9" Differential. 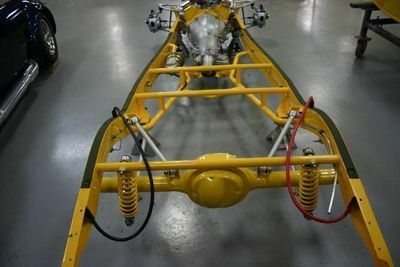 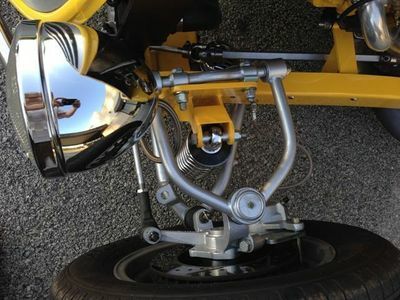 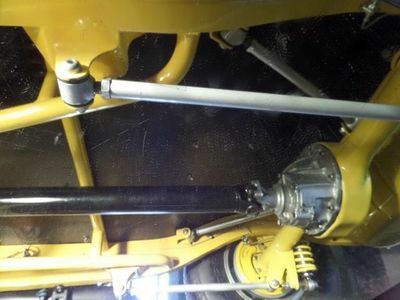 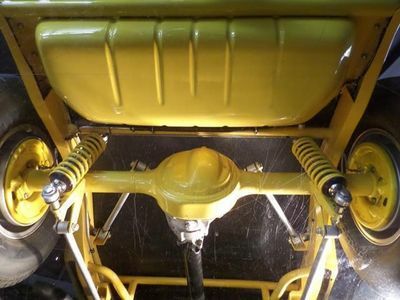 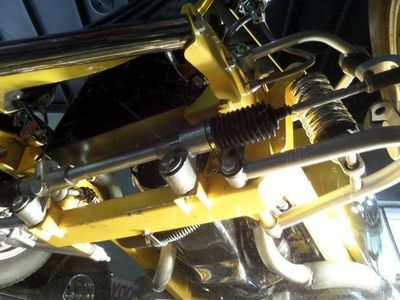 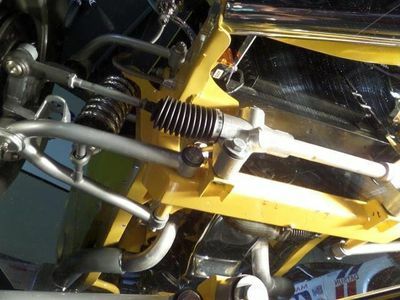 Handling is Excellent with a Flaming River Rack And Pinion Steering system and Tubular, Adjustable Upper and Lower Control Arms With Coil-Over Shocks Front Suspension and Triangulated 4 Bar Four Link Kit, Coil-Over Shocks in the Rear. 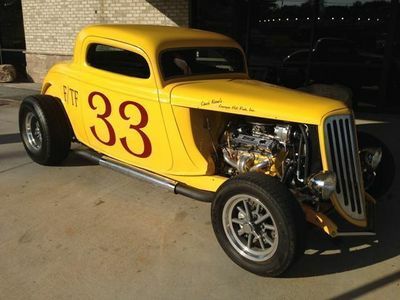 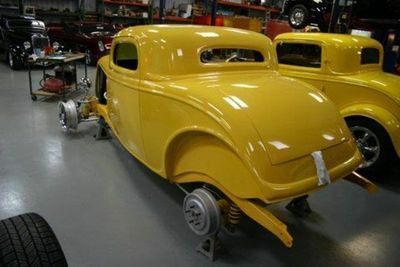 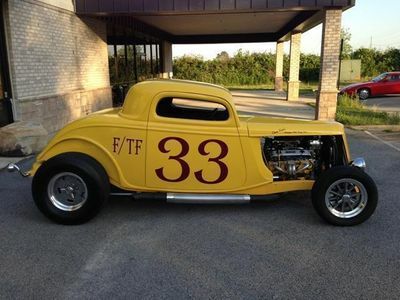 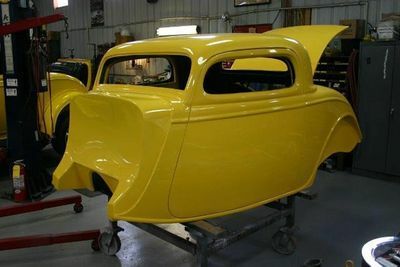 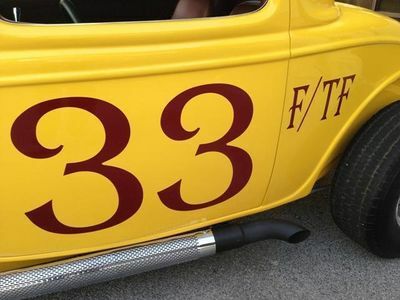 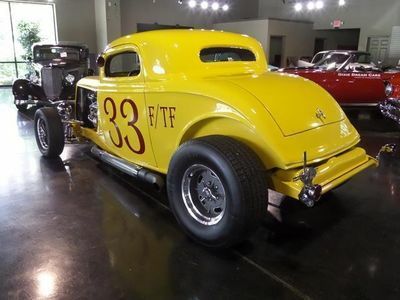 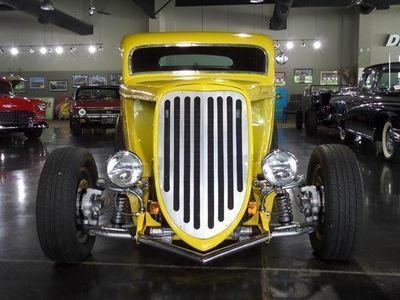 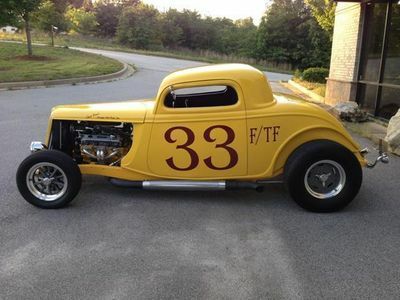 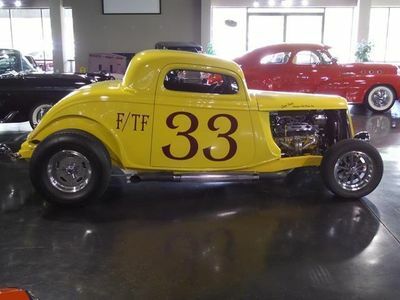 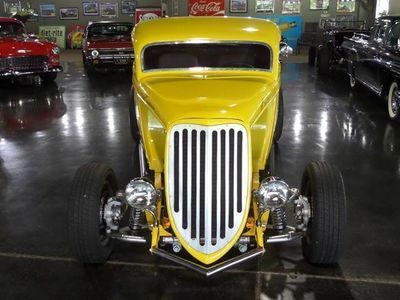 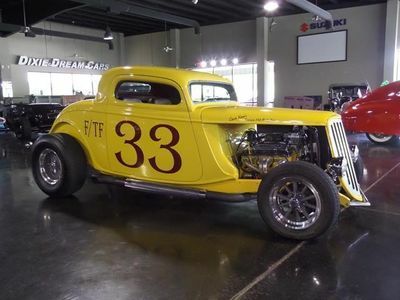 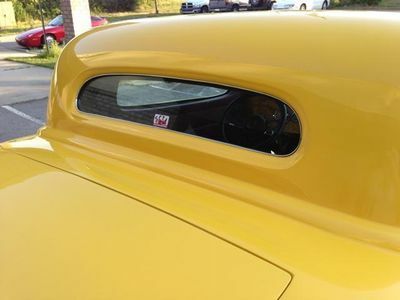 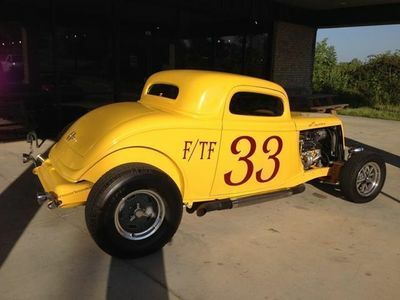 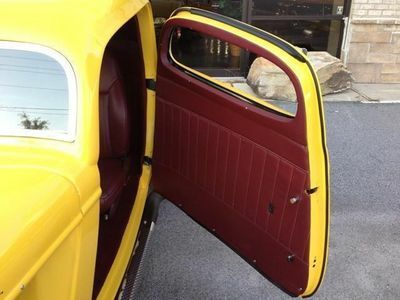 This custom 1934 Ford 3 window Coupe is your ticket to ride Today! 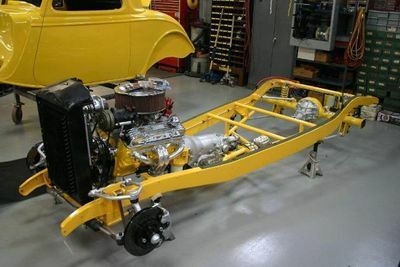 You don't have to wait six months to have one of these custom built! 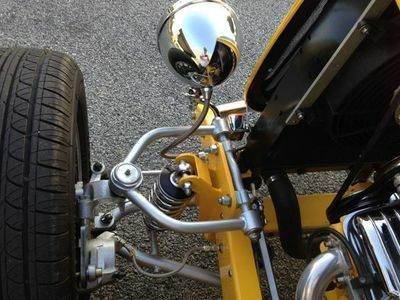 You can Buy Now and You can Ride Now! 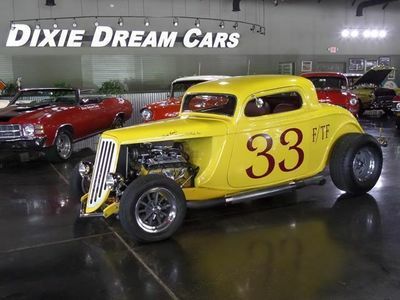 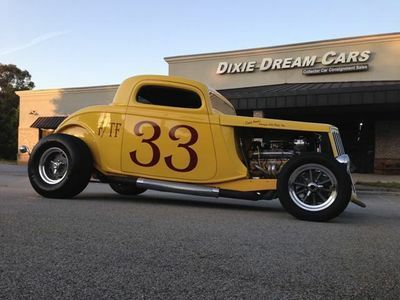 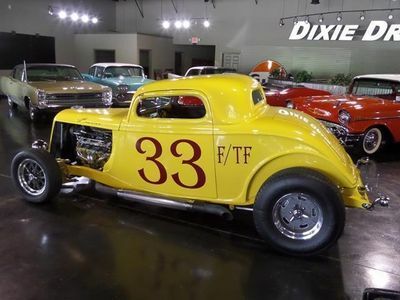 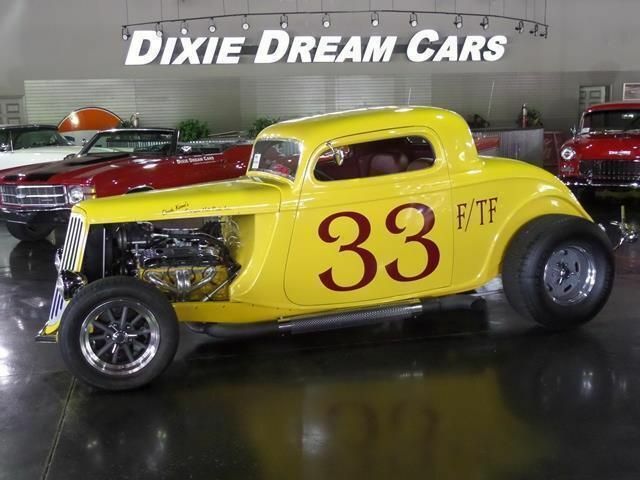 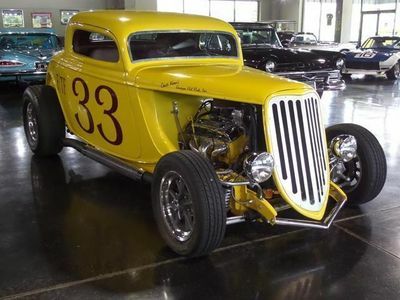 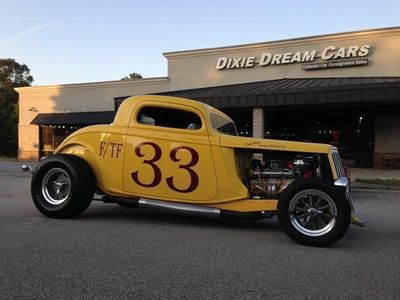 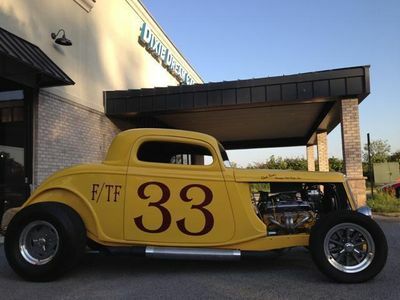 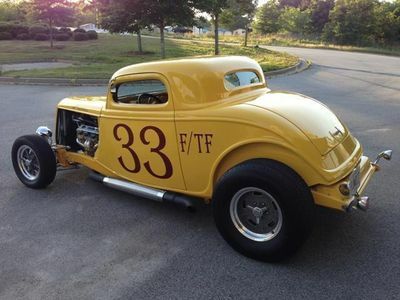 Cruise in Comfort and Style with Confidence in this Custom 1934 Ford 3-Window Coupe. 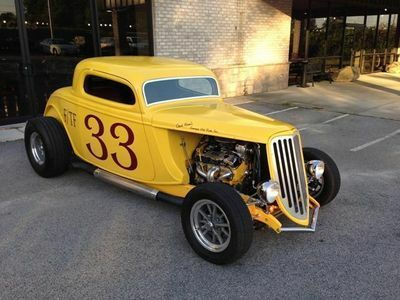 The Perfect Combination of Classic looks, Modern Performance and Excellent Handling ... What more could you ask for?